Upon completing research into the American workforce, Transformational Impact LLC founder, Robert McFarland discovered the four biggest threats to a healthy company culture. Most companies are at a significant disadvantage because they do not sufficiently address these threats. But it doesn’t have to be that way. Transformational Impact LLC can help you address these threats, discover your blind spots as a leader, and map out a strategy to a more productive and profitable future for your company. Robert McFarland is President of Transformational Impact LLC, a leadership development consultancy helping companies envision their preferred future, map the strategy to get there, and create the company culture to bring it to fruition. 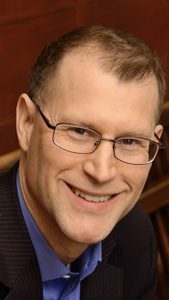 Robert is a bestselling author, executive coach, and conference speaker, and he has worked with myriad organizations conducting strategic planning, providing branding guidance, and giving communications counsel. Robert is a member of the Board of Directors of the National Religious Broadcasters and the Chairman of the Board of Directors of The Family Foundation of Virginia. Both of his books, Dear Boss: Dear Boss, What Your Employees Wish You Knew, and Dear Employee: What Your Boss Wishes You Knew, are #1 international bestsellers. 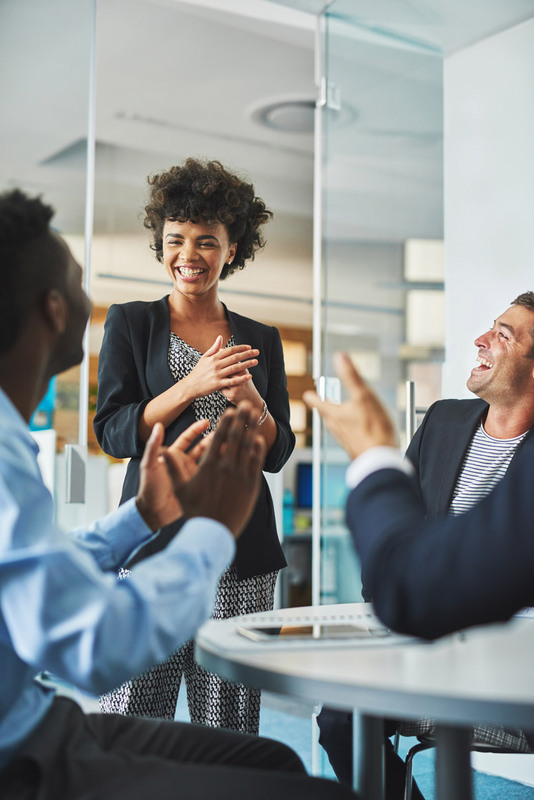 Transformational Impact LLC helps companies improve their employee cultures to make the companies healthier, more productive, and more profitable. We help you build a vision to achieve societal impact, strengthen your employee and customer loyalties, and reach your business goals. By creating a values-based infrastructure, we help you better serve your customers, your employees, and your community. PASSION: We believe strongly in what we do and it shows. DEVOTION: Everything we do is worship, especially our work. CELEBRATION: Life is worth living and celebrating. EXCELLENCE: Whatever you do is always worth doing well. INTENTIONALITY: All thoughts and actions have consequences. DIGNITY: Every individual has intrinsic self-worth. You can engage your employees in something bigger than getting a paycheck. You can use your company to serve your customers and community—and make more money in the process. You can do good and do well at the same time. You can use your company to serve more than just your customers. You can remake your business into an agent of transformation. 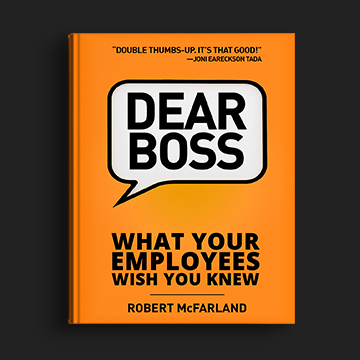 “The application of Mr. McFarland’s principles contained in Dear Boss: What Your Employees Wish You Knew has had a profound impact on the manner in which my school has reoriented our internal communications." "We came away from the meeting encouraged in our shared vision and mission, and excited about building hope for future generations." “Robert has a unique ability to both lead and listen. … I highly recommend Robert and Transformational Impact. We help you design the organizational brand you want to convey and the culture you want to support it. By analyzing your current brand and culture, we help you craft a brand-focused strategy and map out the culture change process to bring it to fruition. As a result, we help you align your brand and your culture to produce the message you want your customers to hear loud and clear. We work in collaboration with you to develop your brand. We help you assess your brand engagement, guide the re-branding process, and construct the brand messaging guidance. We help you formulate your core messages and determine how you should present your company both visually and verbally so that your brand has the reception you want. We help your brand gain clarity, intentionality, and consistency in all of its expressions. We determine the essence of your brand in the context of how you want your customers to perceive your company. We help you construct your core brand messages and your company culture so your brand essence and company culture will be in alignment. Based on Robert McFarland’s #1 international bestseller, Dear Boss: What Your Employees Wish You Knew, we will develop customized training to fit your unique workplace culture. A good workplace culture must be not only proactively designed, but it must be taught, celebrated and modeled. If you are not training your team the company way, then you are missing an opportunity to express your brand. We will train you how to move beyond managing and become an Active Leader. Based on Robert McFarland’s book, Dear Boss, What Your Employees Wish You Knew, we will customize your team’s training to produce a healthy workplace culture and develop a more inspired and engaged workforce. We help you grow and develop both as a person and as a leader to effect the change you want to see in yourself and in your workplace culture. By pushing you beyond managing—and even leading—to becoming an agent of transformation, you will be prepared to intentionally and consistently guide your team to extend your brand and culture. As a result, you will be equipped to steer your company to higher performance. We guide you through the process of changing the culture at your company. After developing the strategic plans for building the culture at your company, we walk you through the process of implementing the necessary changes. We lay out an entire program of culture change for your company and then set up a series of regular coaching points along the way. We make sure that you understand all that you need to do, when to do it, how to do it, and why you should do it. Your leadership is measured by your employees and team members. Even if you are a good leader, you can still become disconnected from the people who are there to help you accomplish your goals. This survey will help you become aware of your blind spots, and it will put you on the path to find the answers that you may not even realize that you need. Find out how you can intentionally use your words and actions to unleash the best in those around you. This survey will help you identify what you need to change in order to become that kind of leader. Mar 16, 2019 How Well Do You Represent Your Employer? Mar 08, 2019 Are You Open to a New Perspective? Watch the What Your Employees Wish You Knew masterclass and have your team take the survey. Enter your name and email to gain access to my client resources and the Masterclass. We help you and your executive team unpack the importance of cultivating vision in your company. Many companies don’t achieve what they are capable of, because they don’t have a plan or don’t stick with their plan. We help you craft your strategic direction and inspire and equip you to achieve your goals and plans. We train you how to move beyond managing—and even leading—to become an agent of transformation. 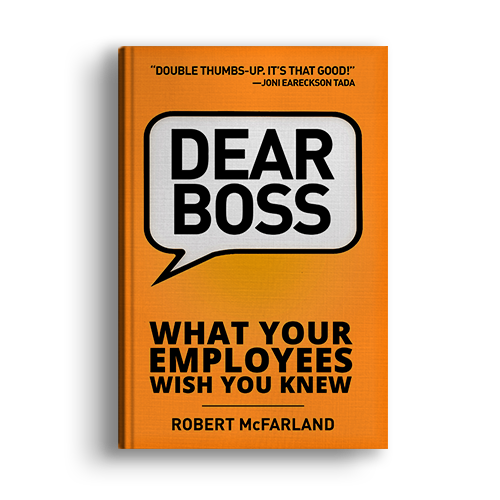 Based on Robert McFarland’s book Dear Boss: What Your Employees Wish You Knew, we will coach you to a new level of performance in your role. As a result, you will become a better leader than you have ever been before. Creating a great culture at your workplace starts with you as a leader and the rest of your leadership team. The culture perpetuated by your team originates from what you teach, what you celebrate, what you model, and what you permit. We help you identify what your culture is, what you want it to be, and then effect the change to bridge the gap. We help you develop in your Active Leadership based on your company goals and the needs identified in your culture survey. Then we help you map the strategy to create the change in your team that you want to see. We guide you in identifying how you can remake your culture into what you want it to become for the benefit of your employees and your customers. We speak to your board meetings or executive retreats about the benefits you receive from running your business according to biblical principles: the competitive advantage you gain, the employee engagement you obtain, and the personal peace you get from knowing that you’re doing the right thing. We provide transformational training for your team so they will see you, their work, and themselves in a new light. Based on Robert McFarland’s book Dear Employee: What Your Boss Wishes You Knew, we customize training for your team to fit your unique workplace culture. As a result, we help you develop a more engaged workforce. The Self-Leadership paradigm will change how your team views you, themselves, and your company. Through conscious awareness of these concepts, your team will begin to look at things differently. 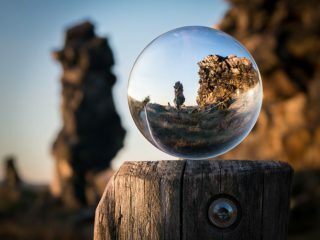 With this new lens, they will be able to redefine their roles in the company, and it will redefine how they view everything else at the company. We give you and your team a new vocabulary for understanding and expressing company norms. We enable your team to overcome the thinking that has provided the problems in your corporate culture and help them create new patterns that reinforce the new thinking. By changing their thought patterns, they will change their actions, which will improve their results.